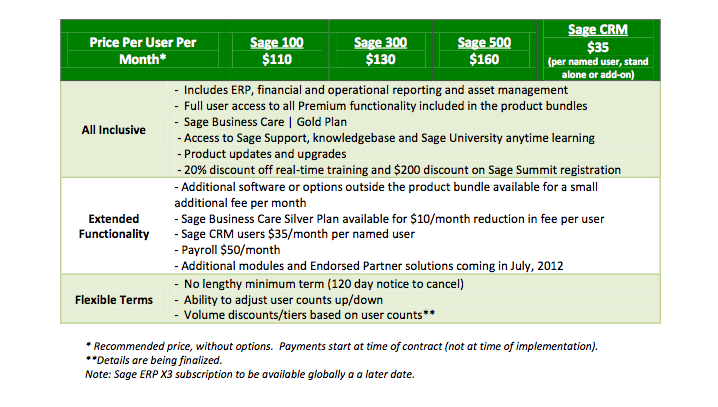 How Do I Cancel or Modify My Sage 100cloud Subscription? Is your company using Sage 100cloud and do you need to cancel or modify your subscription? There is an easy way to accomplish this and it can all be done online at the Sage site. You’ll need to be a contact listed on the Sage account and also provide your company’s Sage account number (look under Help – About). Be sure to select “Partial Cancellation” if you only wish to make changes to the user count or modules. Also, the terms of Sage’s End User License Agreement ( EULA ) govern whether you will be eligible for a refund. In most cases, you will only be able to make changes for a future subscription renewal as existing subscription fees are generally not refundable for the time period you originally selected. Once you’ve made changes to your Sage 100cloud subscription the keys will be automatically changed by Sage. Your system will contact the Sage server on a regular basis to check for updates and changes as well as expired subscriptions. Log on using the Administrator account. In the Administrative Tools screen, click System Configuration. The system checks for and updates your product key so that your new license and/or subscription takes effect. 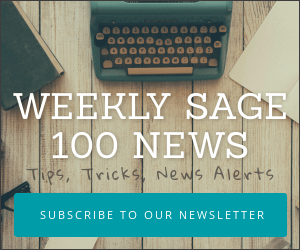 Sage recently unveiled a new pricing option for all users of Sage 100 ERP (formerly Sage ERP MAS 90 and 200), Sage 300 ERP (formerly Sage ERP Accpac) and Sage 500 ERP (formerly Sage ERP MAS 500). This subscription option will be useful for customers who may be using one of the above products but have allowed software maintenance to lapse. There is no penalty for renewing under the above subscription pricing and you may discontinue use with 120 days notice to Sage and discontinuing use of the software. Additionally we think short term users and small user counts of 1 to 3 users are ideal customers for subscription pricing since the pricing would closely approximate current per module maintenance. While the plan offers pricing similar to SaaS or Cloud hosted solutions it’s important to remember that you will still need to host the solution in your offices (or pay an additional fee to have it hosted off-site). Additional pricing options available to you include both per user (this is a one time fee with recurring annual maintenance starting at 21%) and online (hosted) Sage 100.